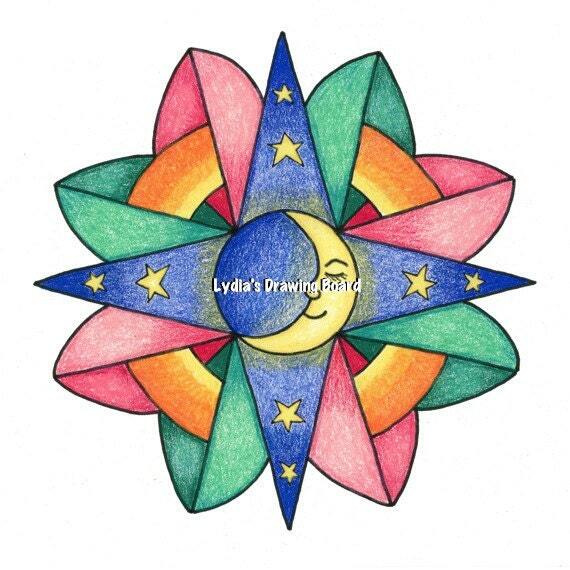 This 8" x 8" fine art giclee print was made from an original ink and colored pencil drawing. This one features a peaceful, sleepy man in the moon. It would be lovely in a child's room.